We launched the Twitter #SmartSocial Award in May 2012 as part of a drive to help micro and SME businesses. Each Sunday morning between 9 - 12 companies Tweet to us on Twitter 'how they use Social Media in their business' and we run through the entries to find out the best and most innovative use of social media to award a business the #SmartSocial Award. 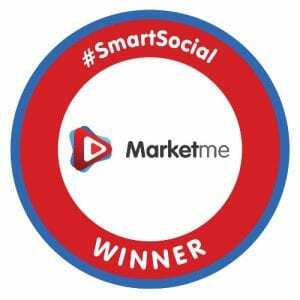 #SmartSocial hashtag is now recognised on Twitter and is used for whenever a company wants a reTweet from us and of course, every Sunday morning to enter for the award! View our growing list of #SmartSocial winners below! #SmartSocial is kindly supported by Dylan Moore of Aqua Design Group. Wear Eponymous – Be Your Own Story. W.E. are the fashion brand dedicated to redefining beauty and championing emerging designers. Jeanius Consulting. Global maritime PR, marketing, social media management, business strategy, sponsorship management and creative solutions.